Princess Margaret is tonight at a cousin's country home where Group Captain Townsend is spending the weekend, "reports the New York Times. This visit has "heightened the expectation" that the 25-year-old Princess is going to marry Townsend, a 40-year-old divorced father of two sons. Townsend spent two hours yesterday at Clarence House visiting Princess Margaret. 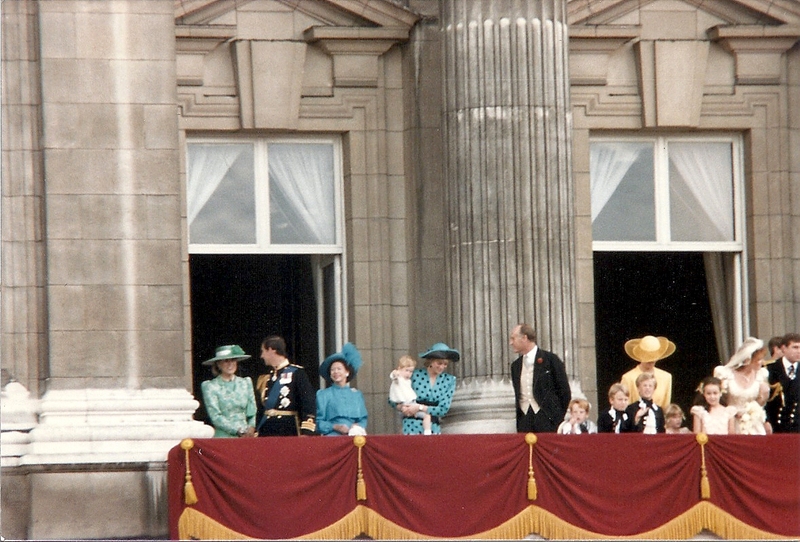 Clarence House is the official residence of Queen Elizabeth the Queen Mother. Clarence House issued an official statement tonight saying there would be no announcement of the Princess's future plans "at present." This was the first "official recognition of the national and international interest in Princess Margaret's future. The statement reads: "In view of the varied reports which have been published, the Press Secretary to the Queen is authorized to say that there is no announcement concerning Princess Margaret's personal future at present contemplated. "The Princess Margaret has asked the Press Secretary to express the hope that the press and public will extend to Her Royal Highness their customary courtesy and cooperation in respecting her privacy." There have been growing crowds outside Clarence House and 17 Lowndes Square, the home of the Marquess of Abergavenny, where the Group Captain spent the night. Earlier today, he left London saying he was "going away for the weekend," adding that he could not say where. The Princess drove tonight to the home of Mr. and Mrs. John Lycett Willis at Binfield in Berkshire. Mrs. Willis is the Princess' cousin, the former Jean Constance Elphinstone. British newspapers have commented on the "constitutional aspects" of Princess Margaret's situation. As she is 25 years old, she does not need the sovereign's approval to marry, according to the 1772 Royal Marriages Act. But it is believed that Queen Elizabeth II, as head of the Church of England, will not "officially approve" her younger sister's marriage to a divorced man. If she withholds her approval, Princess Margaret may still marry but she will need to "give formal notice twelve months in advance" to the Privy Council. She also may be required to renounce her right to the throne. Princess Margaret is third in line after Prince Charles and Princess Anne. Group Captain Townsend's first marriage ended in divorce in 1952. He was deemed to be the innocent party due to his wife's adultery. He had been an equerry to King George VI, and following his death in 1952, Group Captain Townsend provided support to the grieving young princess. The "wave of speculation" about a romance between Townsend and Princess Margaret began in 1953. Yesterday, was the first visit between the couple in more than two years, although they have kept in frequent contact by telephone.